Our Mission Statement : "Where your health matters"
Darwen Healthcare aims to provide quality care to patients in the area. Our doctors, nurses and all our other staff are dedicated to offering a professional service and this surgery website will help us to keep all our patients up to date with news and information about our practice. Next Meeting is being held on Monday 18 March 2019 @ 5.30 -7.00pm. The group would benefit from a diverse selection of patients: e.g. young patients, patients with a disability, patients that suffer from chronic diseases such as diabetes, asthma and COPD, patients who work, patients who are job seekers, patients who are retired and patients who are teenagers. If you are interested in becoming a member of the "PPG" then please contact either Susan Hill or Ann Neville at darwen.healthcare@nhs.net. The Patient Participation Group is run by patients with the support of the practice. Click onto Patient Group for further details under Have your say for more information. Thank you to everyone who took part in the Patient Participation Group Patient Survey 2018. We are delighted to have received so much engagement from patients telling us your views on what matters to you. 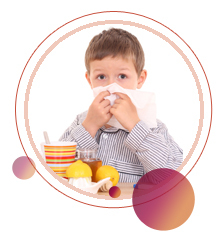 Quarterly Newsletters providing valuable information for patients. CLICK ON "SEE LATEST NEWS" AND VIEW OUR QUARTERLY PRACTICE NEWSLETTER DEVELOPED BY OUR PPG. Fantastic achievement 53 patients attended an appointment during the awareness week compared with 33 patients in the January awareness week last year. That’s an extra 33% attendance - this test may save your life. During the Awareness week we continue to promote cervical smear screening. https://jostrust.org.uk/video-page at our practice clinics and extended hours Monday and Wednesday. Blackburn with Darwen are now offering weekend appointments at Barbara Castle Way Health Centre between 09:00 am and 2:00 pm. 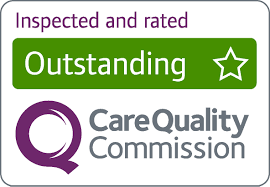 Darwen Healthcare successfully registered with the Care Quality Commission under the Health and Social Act 2008 and we are extremely proud to have been awarded outstanding. From 25th May 2018 the law changed with the addition of the General Data Protection Regulation (GDPR). This regulation will have an impact on how we handle your data. You can find out how we use your data under further information 'your health records' on the right hand side under Further Information Column. If you would like help in stopping smoking, please click here for a more information and a list of clinics in the area. If You Don't Need It - Cancel it! In the month of February 58 appointments were lost; 36 patients failed to attend their GP Appointment and 22 patients failed to attend their urgent on the day appointment! Please remember to cancel your appointment so it can be offered to somebody else. If you would like to register for PATIENT ACCESS so that you can view some parts of your medical record, book routine appointments or order repeat prescriptions all online - please download a registration form to complete or alternatively ask at our reception for a pack. If you have registered with Patient Access then click here to order your prescription and book appointments or otherwise click here to use the existing system for ordering your prescription. Friends and Family Test: To have your say click here! The NHS friends and family test (FFT) is an important opportunity for you to provide feedback on the care and treatment you receive and to improve services. Please click on the link under 'Have your say'. In order for the doctors and clinical staff to attend learning time in 2018 the practice provides emergency cover from 12:30 -6:30 pm on the following days:05 March 2019, 20 March 2019, 12 June 2019, 26 September 2019, 27 November 2019, 10 March 2020 and 23 April 2020. Please note that the practice phones and reception are still manned by our administrative staff. A friendly service providing free information, help and advice. They have a wide range of support from local organisations including workshops, taster sessions, peer support groups and drop ins. Click here for more information or contact 01254 292620.